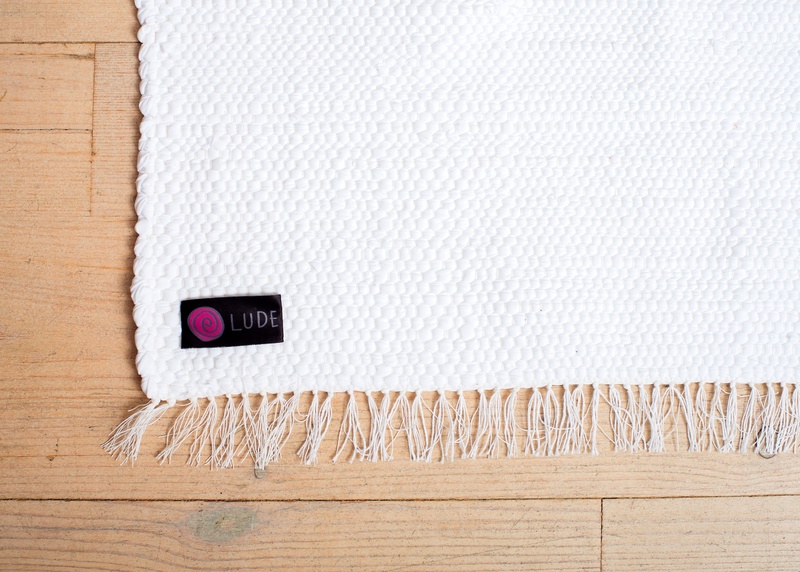 Buy Lude rugs online on our webshop on ETSY or pre-order rugs by e-mail lude @ lude.lv / phone call +371 26742227. Have you ever dreamt of having a black rug? Just pure simplicity and beauty.. It exists! And ladies at Lude have created also white, pink, yellow, gray, red, green and blue ones too. 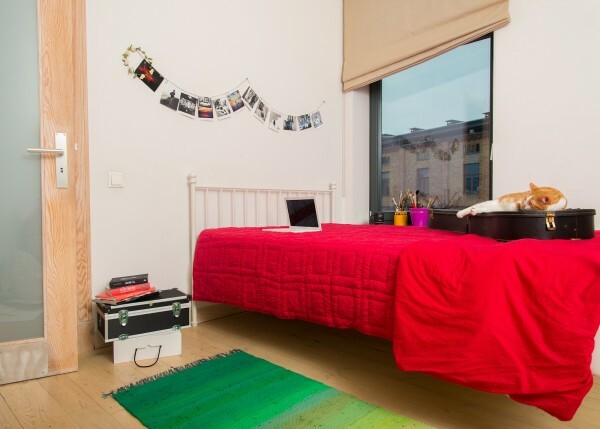 Be it for a stylish appartment or colourful kids room. Check out Lude Uno in the pictures and find the right colour for you to brighten up the day or complement your interior. 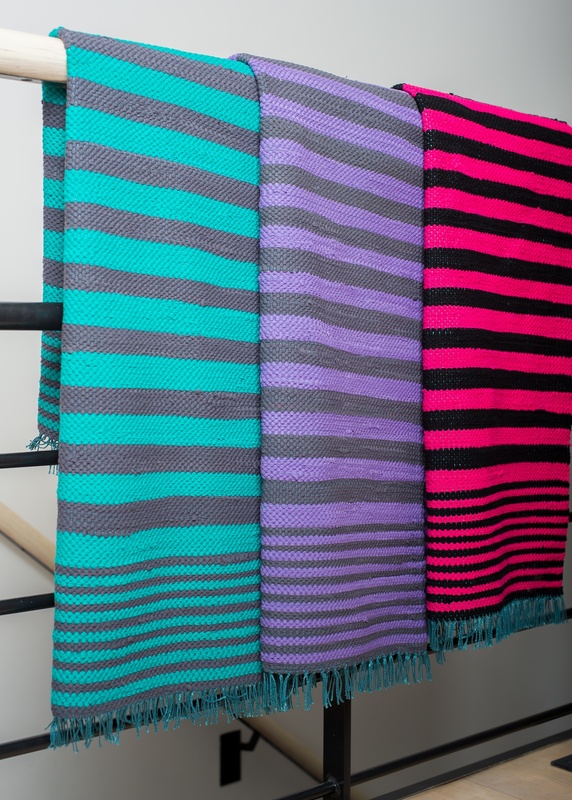 Each rug is hand-woven from 15 to 20 worn t-shirts or other garments. Thanks to our supplier - charity shop "Otra elpa" - we get wide range of used garments and are able to select the same colour ones. The rug still has various shades of one colour, but is put together in artistic and creative way by Lude weavers. Lude Stripes come in classic and elegant design pattern of two colours by textile artists Lilita Bauģe. Quality cotton raw material from brand ZIB* ensures soft and natural feel of the rug, perfect for stepping on it with bare feet. But it also helps saving a bit of our planet and implementing zero waste principle. Colour combinations vary depending on ZIB* collection, but Lude team always tries to find the best options for both - the brave crazy ones and lovers of calm and classic colours. 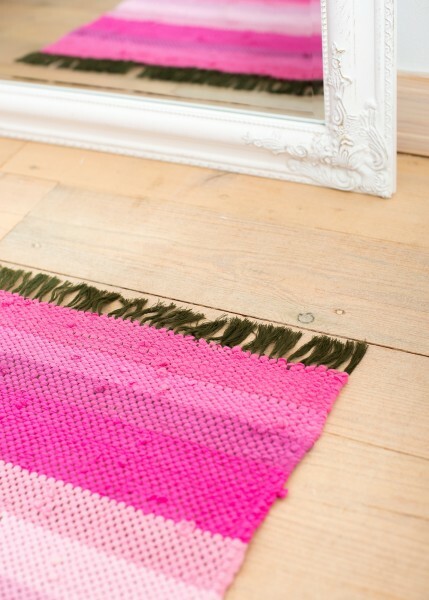 Each rug saves up to 2kg of potential textile waste and turns it into a beautiful design object. 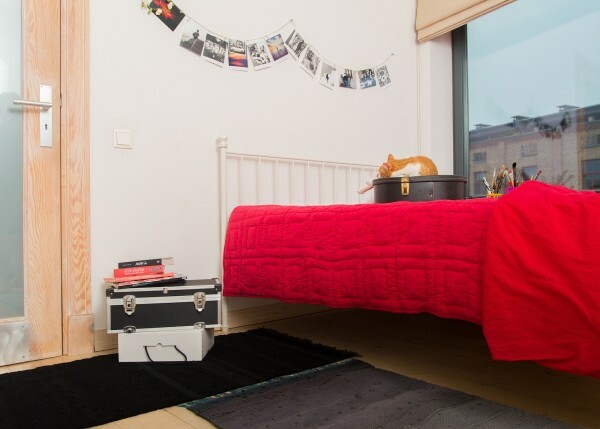 All rugs come in sizes 70x120cm. Machine washable in 40 degrees. Lude Etno design line is inspired by cultural heritage of our ancestors. Each region of Latvia is proud of its national costume and especially the skirts worn by ladies. Line rhythms from 3 of them have been taken as designing principle in Lude Etno rugs and modernized by textile artist Lilita Bauģe. 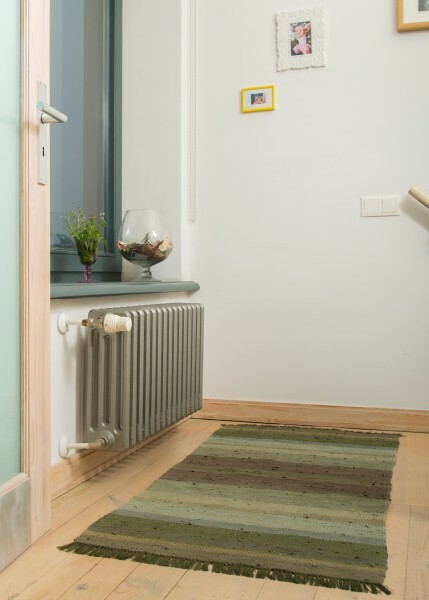 These rugs are specially loved by Latvians abroad, as it allows to bring a little piece of motherland with them. But can serve also as great design element of modern interior or a thoughtful and original gift for foreign friends.